Christian Potenza was a broke single parent stuck in the suburbs, trying to figure out how to make ends meet. A voiceover actor with (at the time) over six cartoons series under his belt, the work wasn’t coming in and he needed a plan. “So, I sat down in my living room, pulled out all my work swag and started rehearsing the dog and pony show, right down to the swagger in my walk. I had a system worked out and I quickly learned that I could make more money at these conventions than doing three cartoons in a year. I looked at it as a business and worked really hard.” He backtracks, “Around 2010, I went to my first convention. It was an accident, a fluke. In 2007, Total Drama Island is huge. In 2008, YouTube starts becoming a thing and, by 2009, a 12-year-old kid from Pennsylvania starts impersonating me on social media. He was threatening to give secrets about the show and was creating contests about it. So, I get pulled into Nelvana (the production company) to answer for this. I call the kid and ask him to take down the site. He says, ‘No, I want a Canadian passport and a part on the show.’” We both laugh. Who doesn’t want that? Christian continues, “So I start a YouTube channel of my own and bring a camera into the recording studio.” He was the first voiceover actor to do this. And it got him noticed on social media, so he was asked to attend Comic-Con. The offers just kept coming. 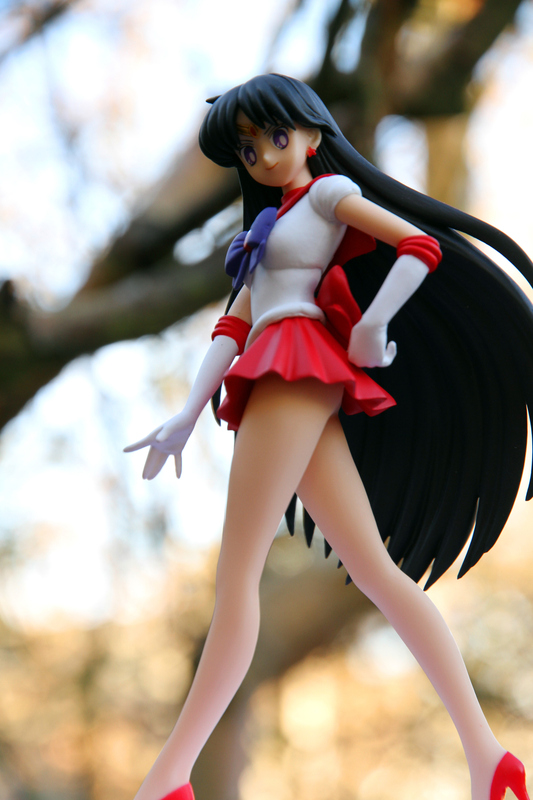 Vancouver, Canada – November 12, 2015: A figurine of Rei Hino, also known as Sailor Mars, from the Sailor Moon animated TV series. The figurine is made by Banpresto. A typical convention day starts in the morning where the actors will sign autographs and interact with the fans. “There are thousands produced a year,” says Toby. “Some are small, and others are huge. I prefer the smaller ones because I get to spend time with individuals as opposed to dealing with a mob crowd. I went to L.A. Expo and there were 280,000 fans. And our panel had about 1,000 people in the room. It’s ridiculous!” Toby continues, “It’s the New World Order! Many of these shows have a Comic-Con component because it’s really the outreach for the fan base… At Fan Expo, about six years ago, we were invited for a Sailor Moon cast reunion. There are millions of people wandering around and there are people lined up to go listen to the different panels. Our cast is going up the escalator and I said to Linda Ballantyne (who played Sailor Moon), who is that line-up for? It’s fantastic. And it ended up to be for our panel of Sailor Moon. There were over 1,000 people waiting to hear us!” “It was an incredible experience!” agrees Katie. But there is a darker side to the conventions. Police patrol in plain clothes and in costume; freaks will take photos of individuals dressed in risqué anime outfits to put on questionable websites. And, with so many children attending, it can attract the underbelly of the lowest of the low. Christian has handlers when he goes to the bigger conventions, specifically because he’s representing children’s cartoons. He’s dealt with a stalker who traveled across Canada until the police had to intervene. On the other hand, there is a side that’s moving and encouraging. All three actors told stories of inspiration that drew tears, stories that will no doubt sit with them for their entire lives. Many of the fans talk of how their characters would get them through difficult times. ‘I raced home after school because I was bullied, I was abused, but I’d escape watching your show.’ That’s a big part of the narrative for these fans: bullying and abuse. Christian tells his story, “I’d been involved with the Make A Wish Foundation and I got to spend time with a terminally ill boy who came up from the States to hang out with me.” His voice starts to break, “It was awesome. About a year later, his parents came to the Toronto Convention Centre to let me know that he had passed. They said they had to come up because, before their son had died, he created some fan art and made his parents promise they would bring it to me.” Christian needs a moment before he can continue. “I’m like, ‘Oh my God.’ I had to leave after that. Toby has stories too personal to mention that bring tears. “I could take a $20.00 Sailor Moon backpack that production gave me, sign it and auction it off for $600.00! It’s really neat,” says Toby. “If you’re in the booth and you’re voicing a character on a kids’ cartoon, just know that what you’re doing is beyond your talents, it’s beyond the performance. It has such gravity, the craft of voice acting. 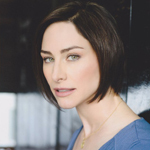 Joy Tanner is the Editor of Performers Online, Performers magazine, and Performers on Set. She has voiced Candy Kong in Donkey Kong.